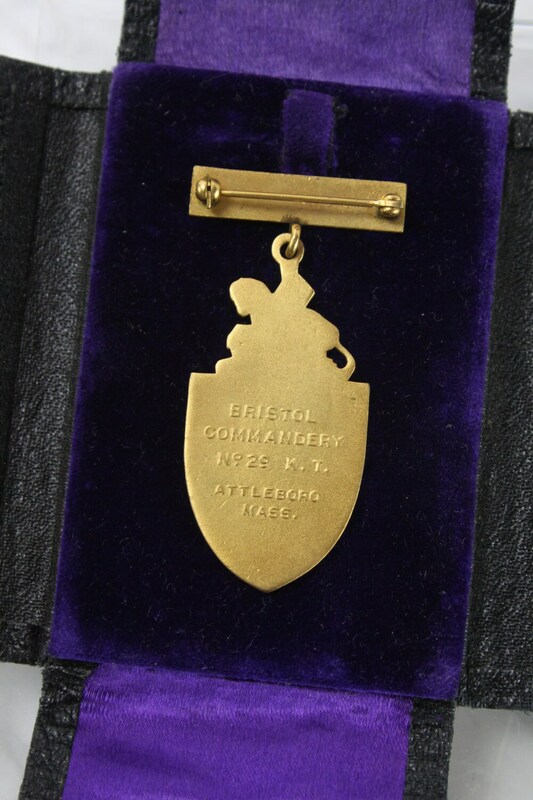 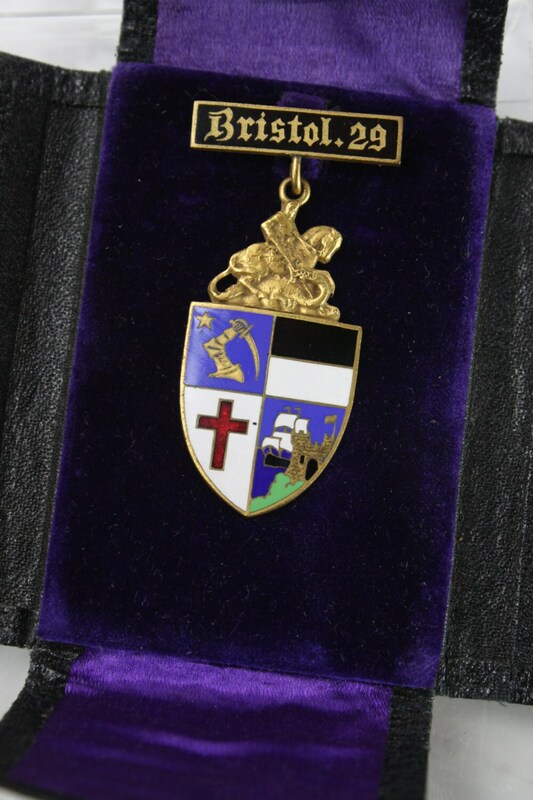 This stunning vintage Knights Templar Commandery Metal in amazing condition and has its presentation box! 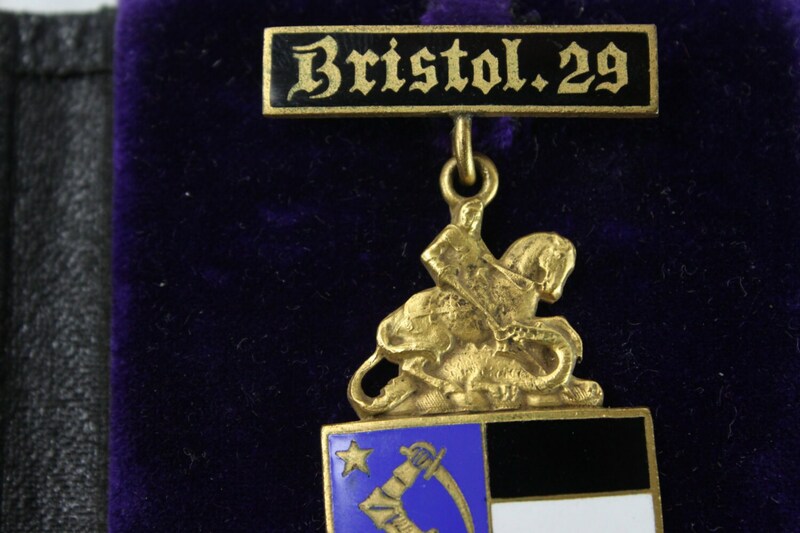 This work of master craftsmanship features a gold and enamel shield that proudly displays masonic devices - the shield is topped with a depiction of St George slaying a dragon which is suspended from a gold & enamel bar! 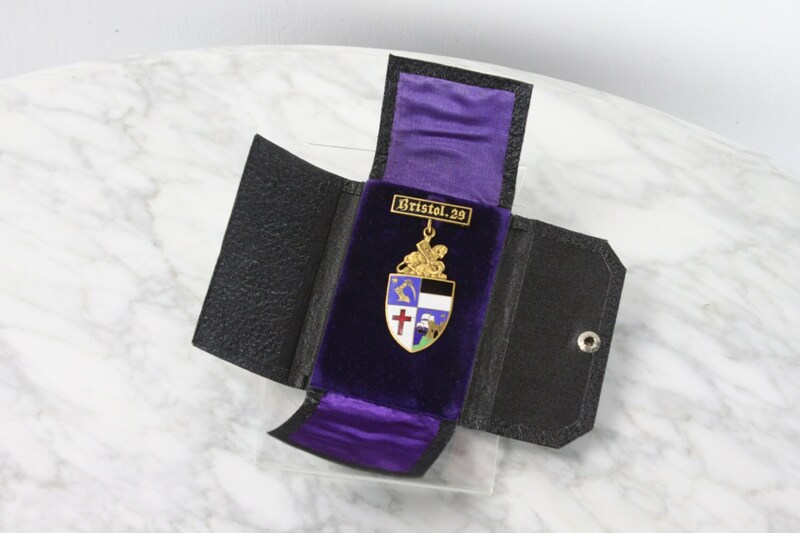 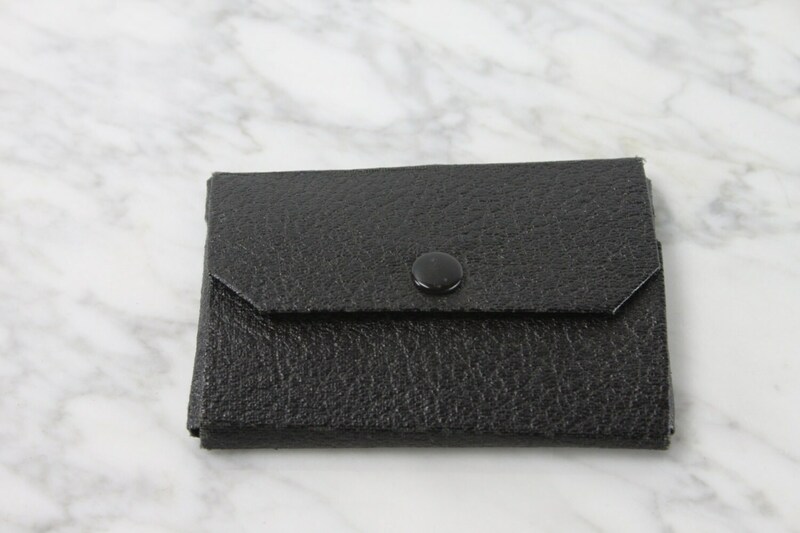 The box is made from leather and purple velvet.